Gateway to Assam and North Eastern region. A fast growing metropolis and the principal city of Assam. Guwahati is the most important tourist destination in Assam. 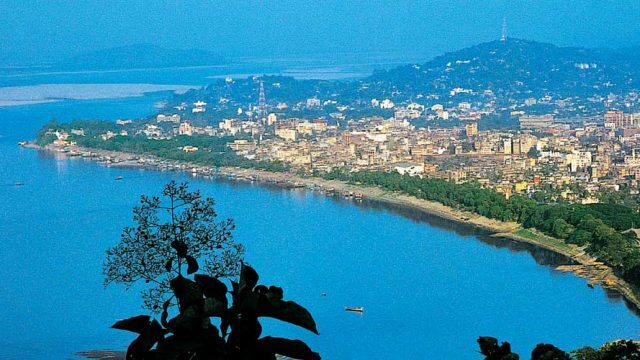 The name Guwahati is a combination of two words: ‘Guwa’ meaning areca nut and ‘Hat’ meaning market. The city lying on the banks of River Brahamaputra is the largest commercial, industrial and educational center of the region. The places to shop for handicrafts and handloom items include the State Government’s department store, Pragjyotika at Ambari as well as several private shops in Pan Bazar and Fancy Bazar, which are two of the main commercial markets. Guwahati can be easily accessed by road as NH 37 passes through it along the south of river Brahamaputra and goes to Dibrugarh and Tinsukia. Infact, Guwahati is the junction of NH-31, 37 and 40. The city has Assam State Transport Corporation and private buses. There are regular A/C and non A/C deluxe coaches for the city. There are many trains for Guwahati from all over the country. There are Rajdhani as well as other superfast trains from Delhi, Calcutta and Chennai. 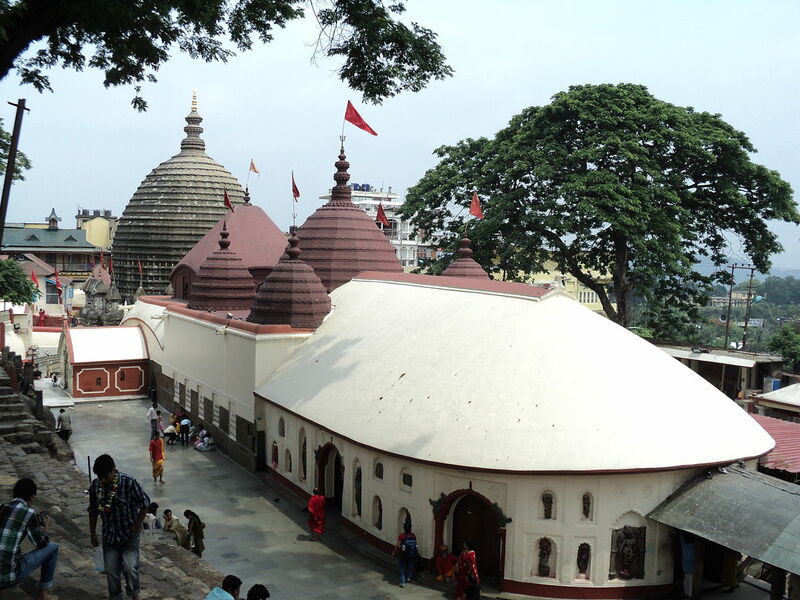 The greatest attraction of Guwahati is the Kamakhya Temple, on the Nilachal hill, where Goddess Kamakhya is worshipped. The temple commands a fabulous view of the city and the mighty Brahmaputra. The ponds here are the home of some giant turtles. The museum was established in 1940 as a non-government body but was taken over by the state government in 1953. It is the biggest museum of the north east region and one of the biggest multipurpose museums in the country. Maibong is located on the banks of the Mahur river and is about 47 kms from Haflong. It was once the capital of Dimasa of the Kachari Kingdom. Even today, a stone house and temple of the Kachari king can be seen. Nambagraha means nine planets.It is thus a temple of nine planets and is believed to be the ancient seat of the study of astronomy. It is just 3 km from the railway station. The botanical garden was established in 1982, has an area of 82 hectares. It has an orchid house packed with 44 varieties of rare orchids of the North East region. The garden has various types of palm, shrubs, herbs, conifers and broad leaved plants. It is a temple of Lord Shiva ,in the midst of river Brahmaputra, on the island of Umananda. The temple can be reached by crossing the river via country boats plying from Kachari Ghat. The place resembles a beehive during Shiva Ratri when pilgrims from all over flock to the island packed in boats. Hajo is a sacred place for Hindus, Muslims and Buddhists.This place is to the (25km) west of Guwahati and is the site of the Pua-Mecca mosque, established by an Iraqi prince-turned-preacher, who travelled all the way to Assam in the 12th century to spread the Prophet’s teachings.The town also boasts of the Hayagriba Madhava Temple, accessible via a long stone stairway. At the foot of the stairway is a large pond inhabited by one of Hajo’s eminent residents: a giant turtle. Hajo is also renowned for its bell metal work.